Meeting Minutes – September 2017 | F.F.A.M. 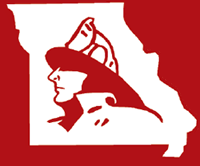 President Kenneth Hoover called the meeting of the Board of Directors of the Fire Fighters Association of Missouri to order at 9:00 a.m., Sunday, August 6, 2017, at the Missouri State Fair Fire Department in Sedalia, Missouri. President Kenneth Hoover, Little Dixie FPD; First Vice President Larry Jennings, Johnson County FPD; Second Vice President Grant Oetting, Higginsville FPD; Secretary Treasurer Jaime Miller, Johnson County FPD #2; Sergeant-at-Arms Rex Reynolds, Southern FPD of Holt Co.
District 1, Terry Wynne, Galt FPD; District 2, Greg Wright, Shelbina FD; District 3, Larry Jones, Madison West Monroe FPD; District 7, RB Brown, Union FPD; District 9, Roy Sims, West Plains FD; District 11, Monty Thompson, Kearney FPD; District 14, Rick Dozier, Southern FPD of Holt Co.
District 1, Janet Cain, Braymer Fire; District 3, Steve Gentry, Little Dixie FPD; District 4, Jonathan Evans, Lincoln FD; District 11, Ryan Miller; District 14, Glen Dittmar, South Central Buchanan Co FD. Tim Bean, Missouri Division of Fire Safety; David Hedrick, Gail Hagans, MU FRTI; Joe Jennings, Larry Eggen, Johnson County FPD; Timothy Mattox, Billy Smith, North Central Carroll FPD; Jacob Allison, Ronnie Fields, Cy Fields, Paris FPD; Holden Peel, Madison FD; Darrell Wright, Donnie Rogers, Chillicothe FD; Bill Westhoff, Retired; Mike Dalsing, St. Joseph FD. President Hoover asked for additions or corrections to the June 4, 2017, meeting minutes. RB Brown moved to accept the minutes as presented. Grant Oetting seconded the motion and all approved. President Hoover asked for a review of the May–June 2017, financial reports. Monty Thompson advised that the State Fair Committee budget should be reduced by $1,900 as they did not do the horse show this year. Rick Dozier moved to accept the financial reports as amended. Greg Wright seconded the motion and all approved. Director David Hedrick with MU FRTI advised that their fiscal year ended June 30. 507 classes were taught, 932 fire departments were served with 11,319 student enrollments. 6 recruitment classes were held with 114 student enrollments and 6 retention classes were held with 120 student enrollments. The Institute presented a proposal to the Fire Safety Education Council in June. They received over $100,000 in subsidy funding for training. The University of Missouri took a funding cut from the state. There has been a 12% cut to MU FRTI’s funding. He advised it is a tougher budget year but they are working through it. A state-wide training survey was sent out on behalf of the advisory council. The results have been distributed to some and an online report will be available in the future for public viewing. Summer Fire School was a success and enrollment numbers increased from 2016. He advised that Summer Fire School will be moving back to Columbia in 2018. Jefferson City and Cole County have both been very supportive in the past however, moving the event to Columbia will help control some costs. 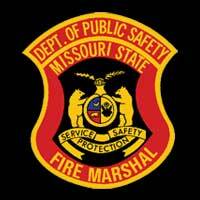 State Fire Marshal Tim Bean with the Division of Fire Safety advised that DFS would be attending the Missouri State Fair and participating as much as possible. He expressed thanks to President Hoover for working diligently on getting the necessary repairs to the State Fair Fire Department. Senator Kehoe was a strong advocate for getting the repairs and if anyone has the opportunity to thank him, they should do so. Pro Board certification is coming this week. This involves the accreditation process and is done on an annual basis. The first DFS stair climb will be September 10. They are attempting to get 343 first responders to participate. The Division is still working on a fire fighter standard/certification and they would like to see legislation on setting standards for firefighters in Missouri. 70-80% of the state already meets the basic firefighter standard. They are continuing to look for support through the state in getting this standard adopted. The DFS currently handles permitting dealing with blasting however the last legislative session failed to provide funding to perform those functions. They are working this year to try and get funding re-established. Amusement park and water slide regulations are also going through the legislation. There is current legislation that allows fire departments to donate equipment however, the legislation doesn’t permit the donation of equipment by vendors. They are working to amended the legislation to include vendors. August 17 is legislator’s day at the state fair. He encouraged everyone to talk to their legislators and educate them on fire fighter issues. Work compensation legislation was passed however, Governor Greitens did not sign due to budget issues. They are still working to try and get revenue generated. Discussion was held on the fire service history book being created by Bill Westhoff that was approved at the April business meeting. Bill Westhoff advised that he is working with other contributors to provide articles and stories for the book. He also presented another printing suggestion of a soft cover book versus a hard cover book which would reduce the publishing cost. The option of an ebook was also discussed. The topic was tabled until October to give everyone the opportunity to discuss and contact Bill with any questions. President Hoover advised that the roof at the State Fair Fire Department building has been completed. Thank you to everyone who assisted with moving equipment. There are no longer any mold issues. President Hoover advised that due to issues beyond their control, the Chillicothe Fire Department would not be hosting the 2018 convention. Mary Supple with the St. Joseph Convention and Visitors Bureau and St. Joseph Chief Mike Dalsing presented a proposal to host the 2018 convention. Discussion followed. Terry Wynne moved to accept the proposal and host the 2018 convention in St. Joseph. Monty Thompson seconded the motion and all approved. President Hoover advised that due to Larry Jennings new position, he has been removed from the committee and he would like to appoint Joe Jennings as the new chairman. Rex Reynolds moved to appoint Joe Jennings as chairman of the Awards Committee. Monty Thompson seconded the motion and all approved. Joe Jennings advised that nominations are due February 28, and can be submitted at any time. Larry Jennings advised that committee budget requests are due by today. Rex Reynolds advised they are working on a possible amendment to open membership to EMS, dispatch and other responder entities. David Hedrick reported that there have been several LODD recently and asked to keep the families in your thoughts and prayers. 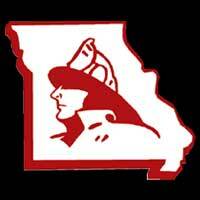 The Missouri Fire Chaplain Corp annual meeting/training will be on September 18-19, in Arnold, Missouri. Contact Secretary Ed Hatcher at 618-207-9487 for more information. 2017 committee chairman Larry Jennings advised that the convention books have been closed. $8,771.67 as the total profit. 10%, $877.17, will be donated to the museum project. The remaining funds will be utilized for projects as designated by the State Fair Fire Department. Rick Dozer reported that he will be working with Chief Dalsing regarding classes for the 2018 convention. RB Brown reported that several of the poster contest winners will be attending the state fair. The committee will also be sending a mailing to all departments regarding the poster contest rules. Grant Oetting reported the following membership counts: 454 Directors/Councilman; 270 Retired; 17 Associate; 11 Sustaining; 18 Corporate, 349 Departments; 6492 Active; 10 Educational; 47 Juniors. Keith Smith reported that both the AFG and SAFER grants have been reauthorized again with no amount given. They have a sunset of 2023. A new director has been appointed to the US Fire Administration. He is the current chief of Oklahoma City. 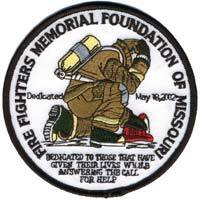 Smith also reported that he and Greg Wright will be attending the fall NVFC meeting in September in Nebraska. Larry Eggen advised that the application deadline is February 28. Monty Thompson reported that crews are ready for opening day on August 10. Duke Manufacturing of Sedalia donated a salad bar table. Charlie Neubert will also be retiring from the department with 40 years of service. 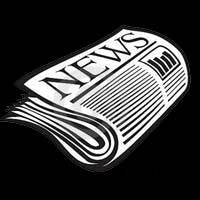 The deadline for the next newsletter will be September 1. Greg Wright reported that all trailers were used in mid-July and everything went well. Supporting Heroes and the EMS Funeral Assistance Team will be hosting a class called Introduction to LODD. It is a free class and will be November 18 at the Remington Nature Center in St. Joseph. Funeral team members will be holding a table top exercise and banquet on October 28 in Fayette at the Knights of Columbus. Keith Smith thanked all those that assisted with the 2017 memorial services. DVD’s are also available for $12. The 2018 services will be the third weekend in May. The Museum Foundation will be meeting with builders in a couple of weeks along with an architect. They are making progress on design concepts for the building. Summer Fire School will be held the same time as the annual memorial service in 2018. They are working with MU FRTI with a possibility of transporting fire school attendees to the services. The topic is still being discussed. Terry Wynne moved to adjourn the meeting. Roy Sims seconded the motion and all approved.